A must-have resource for coaches, leaders, and teams, this book covers approaches for boosting professional growth and macrostrategies that are responsive to student needs. Learn how to offer targeted feedback to teachers, empowering them to identify how they can improve their knowledge and skill. Step-by-step guidelines will help teachers increase their performance on the 280 research-based strategies from Becoming a Reflective Teacher. 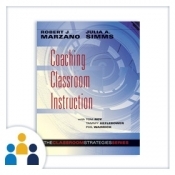 Learn how coaches can help K–12 teachers employ the 41 elements of effective teaching in their classrooms using over 280 research-based strategies. Explore research, teacher actions, desired student responses, extra support/scaffolding, and extensions for each of more than 280 strategies. 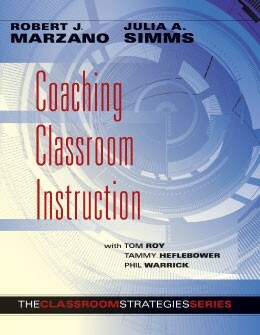 Examine various ways schools and districts can provide coaching to teachers. I like the book. It has been of great help! I like the book. I am starting as a coach and it has been of great help!